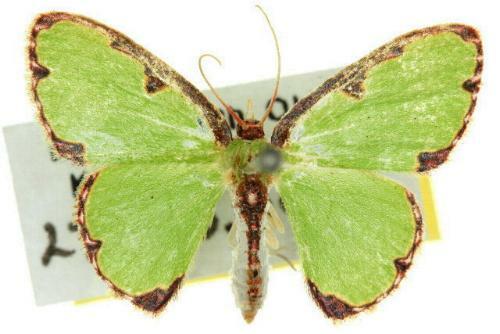 The adult moths of this species are green with the wings having an irregular brown border. Melbourne University Press, 1990, plate 27.6, p. 374. Series 2, Volume 6, Part 2 (1891), p. 295.